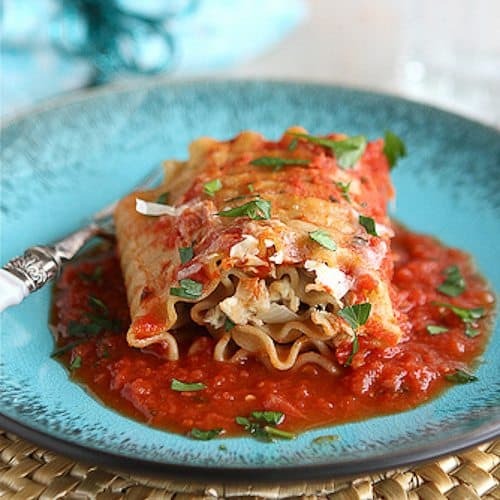 When you have leftover turkey (or chicken), try these lasagna rolls, filled with sun-dried tomatoes and spinach. 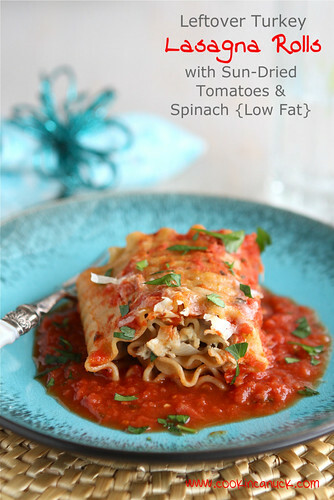 The low-fat mix is tucked inside whole wheat pasta and baked until bubbling and golden brown. What happens when one little family of four cooks a 20 pound turkey at Thanksgiving? Well, either we eat until we balloon up and float to the ceiling, or we find plenty of ways to use the leftovers. Of course, a hot turkey sandwich – open-faced, topped with stuffing and cranberry sauce and smothered with gravy, please – is always an option. And I can’t resist my favorite Turkey, Brie, Pear & Cherry Chipotle Panini. However, sometimes you want something a little different, and that’s where these baked lasagna rolls come in. 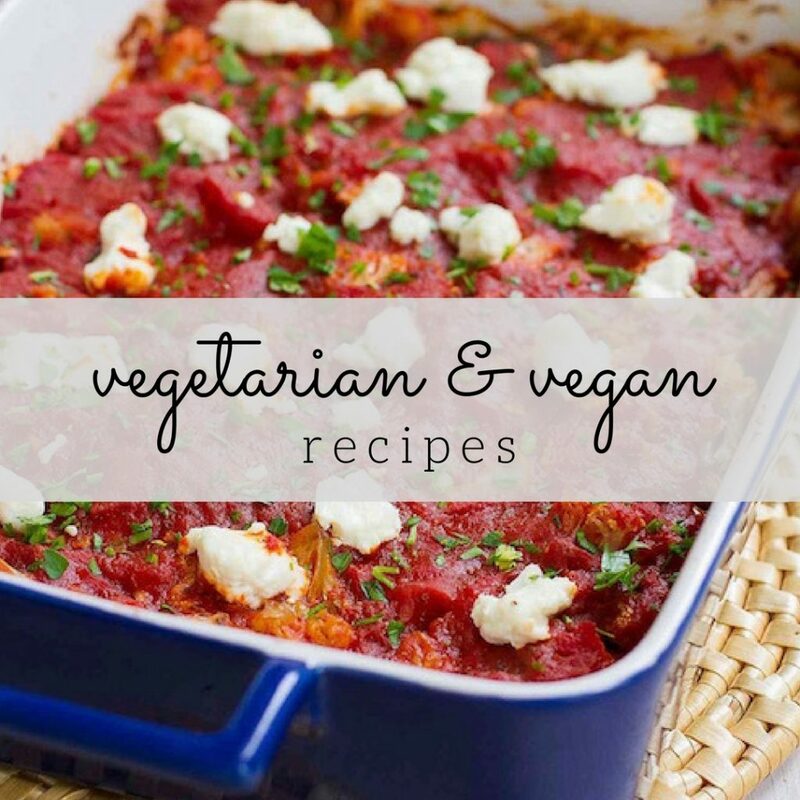 When I first made my Healthy Lasagne Recipe with Turkey, Pesto and Peppers, I found a way to make this typically fat-laden layered pasta dish into a very tasty, low-fat meal. The trick is to replace the ricotta cheese or bechamel sauce with pureed cottage cheese. Your family will never know the difference. And don’t think that you have to wait until Thanksgiving rolls around to make this. Instead of turkey, use leftover chicken, or cut the meat off of a rotisserie chicken from the grocery store. Bring a large pot of salted water to a boil. Add the lasagna noodles and cook until just tender. Drain the noodles, gently rinse with cold water and lay on a kitchen towels, separated from each other. For the filling, heat olive oil in a large frying pan set over medium heat. Add onions and saute until soft, 4 to 5 minutes. Add garlic and saute for additional 30 seconds. Add the diced turkey (or chicken) and heat until warm, about 2 minutes. Transfer to a large bowl. Stir in spinach and sundried tomatoes until combined, and allow the mixture to cool. Place the cottage cheese in the bowl of a food processor or blender and puree until smooth. Stir the cottage cheese, 1/4 cup Parmesan cheese, dried chile flakes, nutmeg, salt and pepper into the turkey mixture. Lay a few lasagna noodles on a cutting board. Spread 3 heaping tablespoons of the turkey mixture along each noodle. 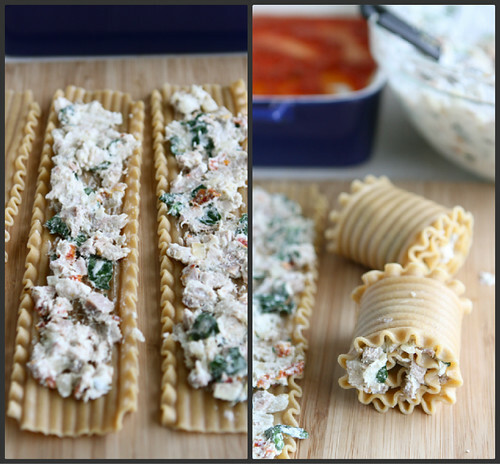 Starting at one short end, tightly roll up the lasagna noodle and filling. Prepare a 9- by 13-inch baking pan by spreading 1 cup tomato sauce on the bottom. Arrange the lasagna rolls, seam side down. Repeat with the remaining lasagna noodles and filling. Spread additional 1 1/2 cups tomato sauce on top, and sprinkle with the remaining Parmesan cheese. Cover with foil and bake for 20 minutes. Remove foil and bake for additional 10 minutes, or until cheese is melted. Remove from oven and let cool for 10 minutes before serving. Place the cottage cheese in the bowl of a food processor or blender and puree until smooth. Stir the cottage cheese, ¼ cup Parmesan cheese, dried chile flakes, nutmeg, salt and pepper into the turkey mixture. Spread additional 1½ cups tomato sauce on top, and sprinkle with the remaining Parmesan cheese. I love these lasagna rolls, Dara! 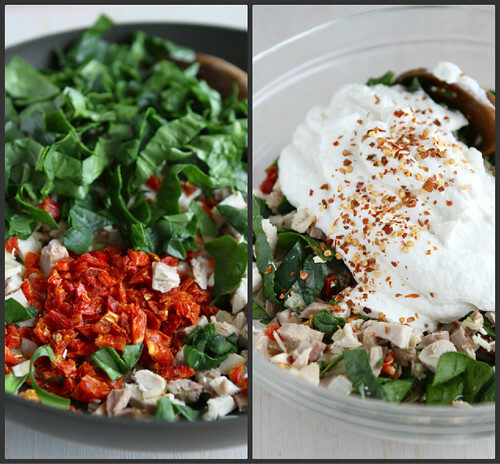 The sun-dried tomatoes and spinach are calling my name! Thanks, Laura. They were a lot of fun to make! 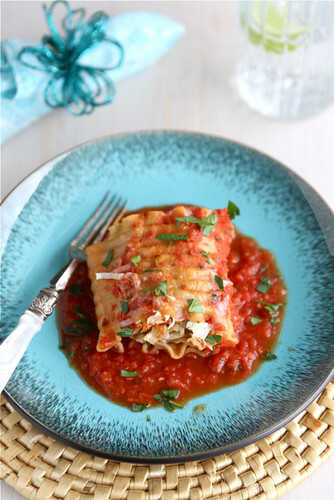 I love lasagna rollups so much more than actual lasagna! Much more festive AND easier to make. Your version sounds so good I am adding it to my meal plan for the next week. Thanks, Anna. I hope you enjoy them! Lora, I hope you had a wonderful Thanksgiving, too. The beauty of this recipe is that you can use leftover chicken in place of the turkey. It’s a year-round dinner! Looks like a wonderful dinner idea! Hope you had a wonderful Thanksgiving!! Thanks, Lori. You too! This is going into our regular dinner rotation, for certain. I love something Italian the day after Thanksgiving. I’m always craving something spicy, or at the very least, tomatoey (you know what I mean 😉 What a great use for leftover turkey! Yes! Something Italian or Asian. I hope you had a wonderful Thanksgiving, Kristy. Dara this is one tasty looking leftover meal. I am really itching to try this one. Maybe after our Christmas turkey. I missed the Canadian Thanksgiving due to being sick. And the American one due to going for tests. So bummed I didn’t get to celebrate either. Ugh, you really did miss out this year. 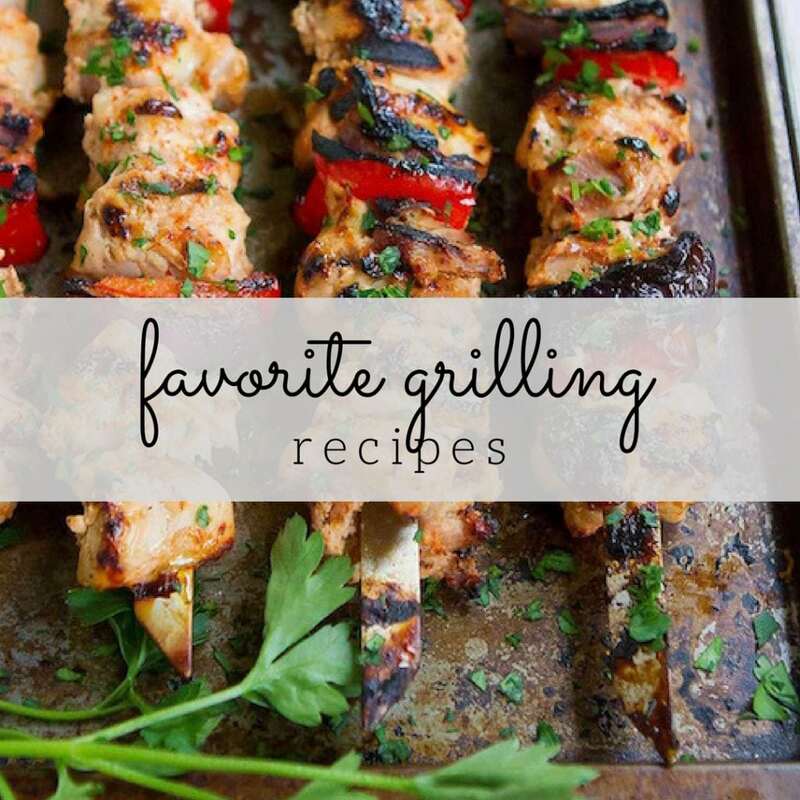 Luckily, this recipe can be made all year-round. Just use leftover chicken, or meat from a rotisserie chicken. Now this is creative! I love sundried tomatoes so much! And spinach too – I need to make more with those ingredients! Yum! 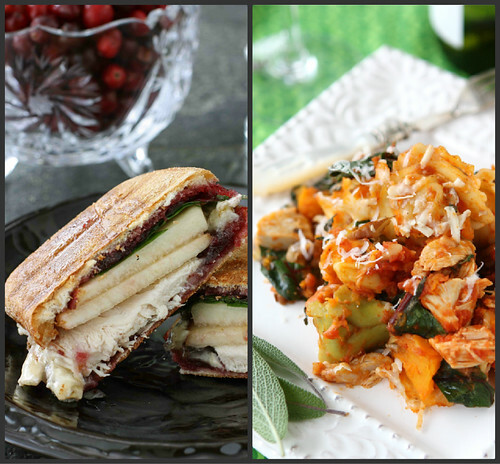 This is a really great way to use up some of your leftover turkey. Looks delicious! 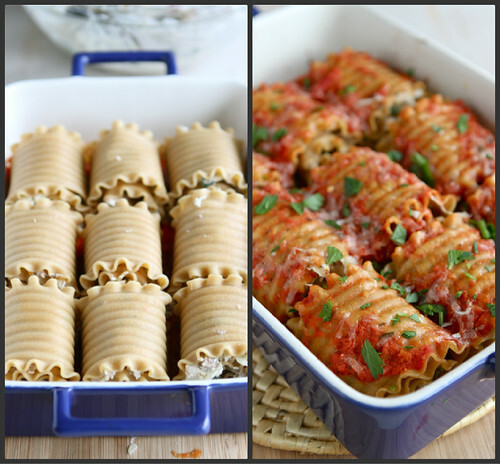 I just made a spinach and mushroom lasagna roll dish for my first time and loved the individual rolls. The addition of sun-dried tomatoes is a fantastic idea! Can’t wait to try it! Would have made thistonightbut Ihave to make my sun-dried tomatoes and the Blackhawks are playing and I didn’t want to jinx them with a Canadian recipe. Just joking though I love your country and it’s people. My whole family would DEVOUR this beautiful dish!! 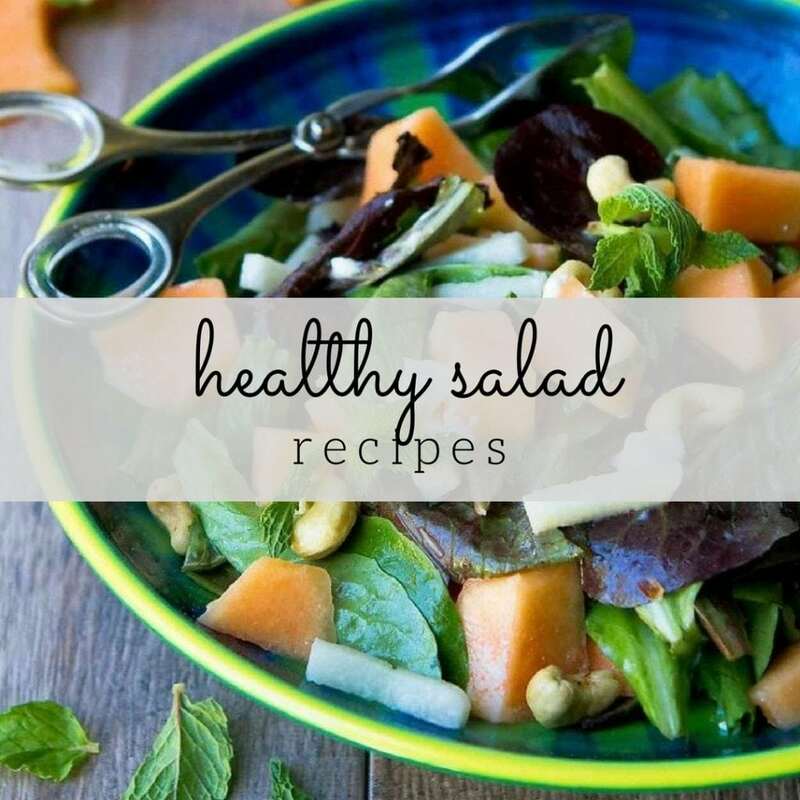 I love your photos and love how healthy you made it!